The many prestigious high schools of Jordan Ketch Prefecture feature countless clubs for proper young ladies. A girl can try her hand at nearly anything, from flower arranging to water polo. What they don’t offer is swordplay – but that’s about to change. 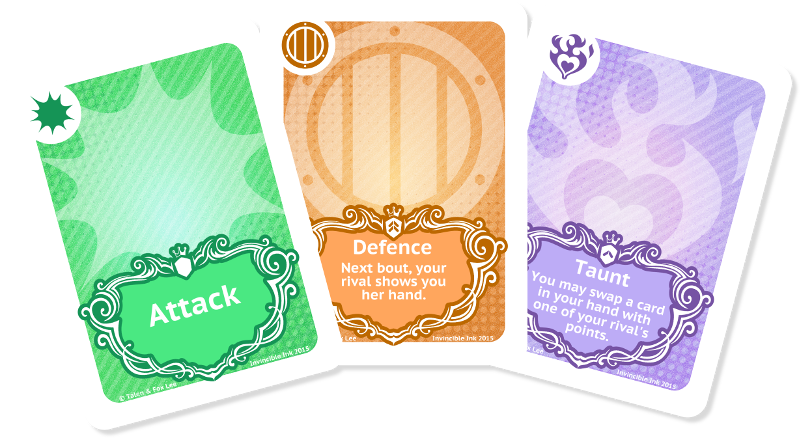 Lily x Blade is a two-player, player-versus-player card game with simple rules and a whole lot of bluffing. Choose your tactics, then fool your rival so she plays right into your hands! Capture your rival’s cards to limit her options and press the advantage. Each duelist has a unique personality and abilities – choose your favourite and ensure her ultimate victory! Lily X Blade is available in two “expandalone” style sets, each with its own duelists – all characters are compatible with one another. You can buy the Primary or Secondary wheels, or combine both into the Full Spectrum, bundle! 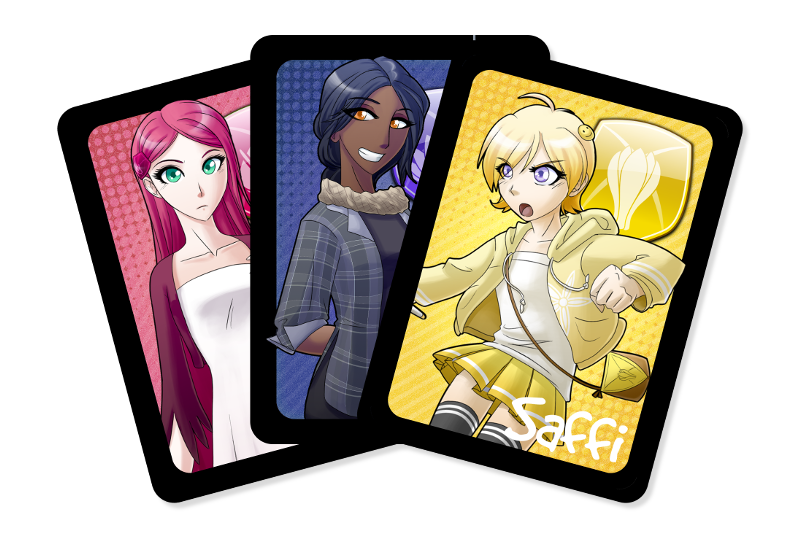 Saffi (Yellow): Earnest and hardworking, talented newcomer Saffi is dedicated to honourable attacks, determined to rely on skill rather than subterfuge. Rose (Red): Calm and ladylike, school captain Rose specialises in making herself an impossible target, evading attacks with delicate grace. Neela (Blue): Clever and charming, cool big sister Neela specialises in drawing her rivals into a false sense of security with her sharp wit and easy grin. Chloe (Green): Aggressive and confident, rough-edged Chloe specialises in overwhelming her rivals with sheer brute strength. 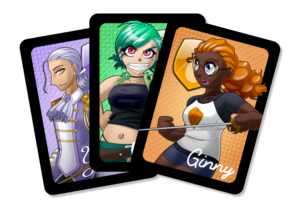 Ginny (Orange): Smart and creative, geeky Ginny specialises in a careful, patient defence that exploits her rival’s every mistake. 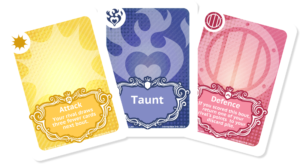 Yolanda (Purple): Elegant and inscrutable, princely crossdresser Yolanda relies on keeping her rivals off guard at all times, her performance and tactics completely unreadable. Want to Buy Lily X Blade? For international customers, you may prefer to buy print-on-demand via DriveThruCards (the same printer we use for our local stock). You can buy Lily X Blade Primary Wheel, Secondary Wheel or Full Spectrum Bundle. Already bought Lily X Blade? Download the latest revision of the Lily X Blade rulebook. You can also follow us to receive notifications of rules updates!